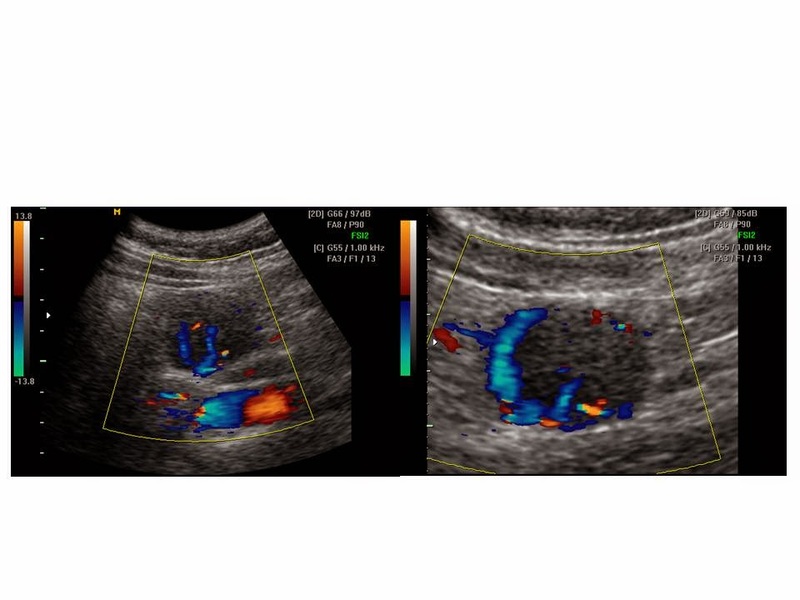 A 22 yo female patient with a mass of right abdomen which was detected by ultrasound check-up and thought to be a mesenteric tumor or a lymph node in mesentery. 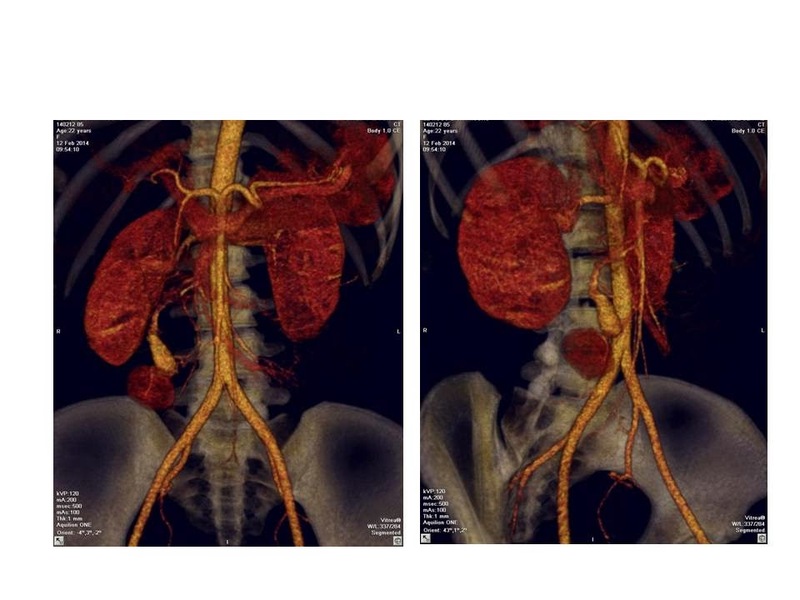 It was well-bordered and vascular structure without any symptom. 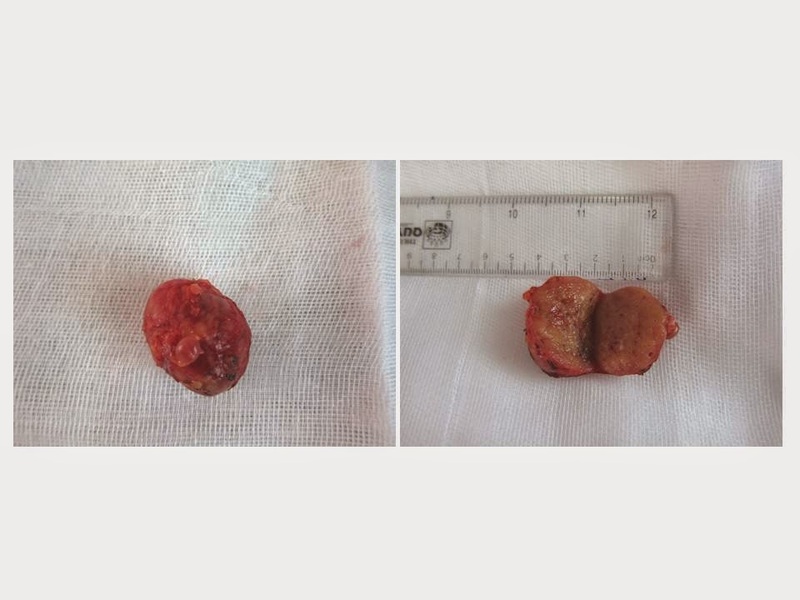 MSCT confirmed the 14x17mm mesenteric tumor in right abdomen with CE enhancement. Open surgery removed the mass from posterior space of right colonic mesentery. 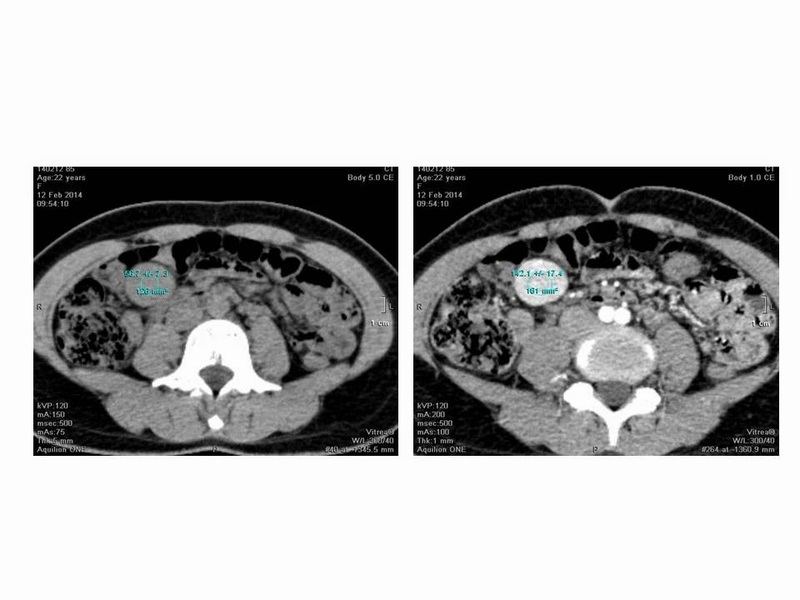 Microscopic result is a Castleman disease in mesentery, which is an uncommon lymphoproliferative disorder that may be localized to a single lymph node (unicentric) or occur systemically (multicentric). It was a second case at Medic Center. 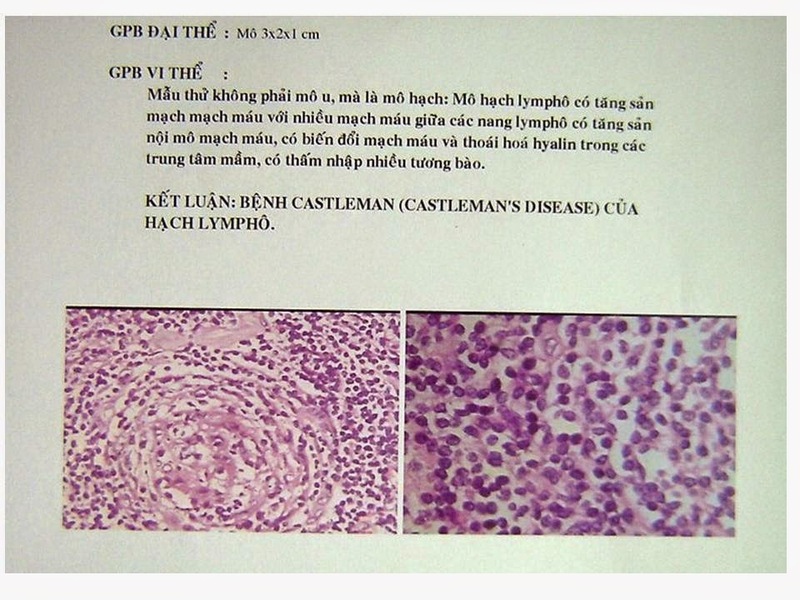 The first case of Castleman disease was posted in 2010.